Adventure is fun, and so are the memories, but what if you are not able to store those memories on your phone and want to transfer it to your PC. There are various options through which you can do photo transfer but are you really sure that those ways are not complicated and hectic. Photo transfer from phone to PC is a tough job if you don’t have the right tool for it. If you are thinking that using Bluetooth you can transfer your photos then you are wrong. Bluetooth takes a very long time in transferring the photos and everyone wants their work to get over fast, with the right tool you can do it. In our previous article, we have discussed the best photo editing software that let’s you edit your favorite pictures and today we are discussing the ScanTransfer App that allows you to transfer photos from Phone to PC completely Free. ScanTransfer transfers your photos, videos, and other documents from your phones to PC using WLAN which makes it easy for you to transfer it. You just have to scan the QR-code and you are ready. Wi-Fi always eases your work and this app creates a Wi-Fi zone for transferring. ScanTranfer offers a lot of features when it comes to photo transfer. Bulk Transfer: You can transfer hundreds of files at the same time; this eases work and saves time. Privacy Safe: they are safe and the app maintains your privacy. Multiple Devices: You can connect multiple devices at the same time and you can share all the photos to all the connected devices. Using ScanTransfer is very easy; there are a few steps that you will have to follow. 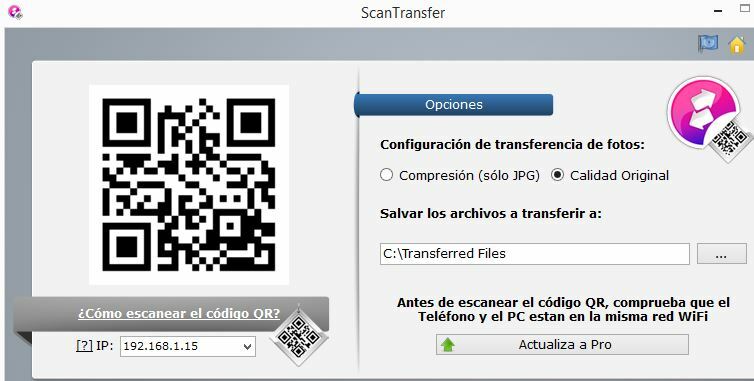 Install ScanTransfer on your PC and once it is installed, open the app. It will create a Wi-Fi zone and you can connect your PC to that via Wi-Fi. Once it is connected, a QR-code will be made available to you and you will have to scan it using your device. Select the photos and files that you want to transfer and share it. Once the scanning is done, the files will be automatically shared. ScanTranfer has a very simple layout. In this, you can select the output folder, that is you can select the folder in which you want your shared files to be, also you can choose the quality of the photos, that is if you want to compress the files you can do that and if you want it to be of the original size, you can do that too. You can scan the code through Twitter, Facebook, and also via iOS phones. If you want to scan via Facebook, open the app on your PC and open Facebook on your phone. Go to your timeline and click on the three lines that available on the top right corner. You will get a list of option, from there choose “Help & Settings”, once you click on it, a new window will open and choose “QR-code” from there. Click on the button and you will be able to scan the QR-code. After scanning, a window will open where you can choose the files that you want to transfer. If you want to scan from Twitter, open Twitter and click on the “New Tweet” button, then you will be able to scan the QR-code and the files will get transferred. For iOS, open the camera and scan the QR-code from the camera and you will be able to share photos easily. This is overall a good app which makes photo transfer easy. 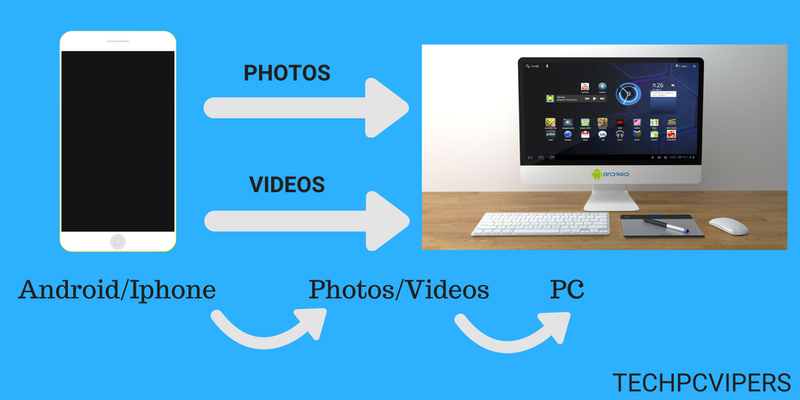 You can easily and quickly transfer photos to PC. It is a must try the application for all. Please let us in know in comments what’s your experience in transferring the photos using ScanTransfer.